Why would I need self storage in Fontana, CA? There are a variety of reasons why you might need self-storage in Fontana, CA. How much is a storage unit in Fontana, CA? The cheapest storage unit in Fontana, CA is $69.00 per month. What size storage units do you have available in Fontana, CA? In Fontana, CA we have sizes that range from 5'x8' to 10'x30' to suit your storage needs. How much is it for a 5'x8' storage unit in Fontana, CA? The cheapest 5'x8' storage unit in Fontana, CA is $69.00 per month. Fontana may have started as a small rural farming community, but today it's a bustling industrial city that's experienced several recent population booms. Many people have relocated to the city for its many job opportunities, but Fontana has plenty of amenities to offer as well. One of its best-known local landmarks is the AutoClub Speedway, which hosts professional racing events uncluding the NASCAR Spring Cup Series. Fontana's also home to the Lewis Library and Technology Center, one of the largest libraries in the San Bernardino County Library System. It features a large children's library, a collection of local historical documents, technology resources and a career center. Fontana was founded in 1913 by an American farmer and land developer, Azariel Blanchard Miller. The city quickly blossomed into a successful agricultural community with vineyards, citrus orchards and chicken ranches. Railroads crossed the area, making it the perfect location for a city. During World War II, a large steel mill was constructed in Fontana. At the time, the Fontana steel mill was one of only two steel mills west of the Mississippi River, and the city experienced a massive growth spurt. As car racing became popular in the 1950s and '60s, Fontana became home to a drag-racing strip that was one of the most famous of its time. NASCAR opened a new speedway in Fontana in 2006, reigniting the city's passion for racing. If you're planning to jump into the Fontana job market, the city has a number of options. The local economy is fueled mainly by the industrial sector, with trucking-based industries providing a large number of jobs. The health care sector is also very active, and there are several hospitals and medical centers throughout the city that provide opportunities for those with medical experience. Among the largest employers in Fontana are Kaiser Permanente, the Fontana Unified School District and the city of Fontana. Fontana is also home to a variety of major product distribution centers, including facilities for the Home Shopping Network, Target, Sears and Toyota. Downtown Fontana has undergone several revitalization efforts, and it has many shops and restaurants. It is host to the weekly farmers' market, which offers fresh produce and other products from local farmers and artisans. Although North Fontana is mainly residential, there are a few local attractions that draw visitors to the community. Here you can find the Auto Club Speedway, where you can attend a variety of professional racing events, including major IndyCar events. 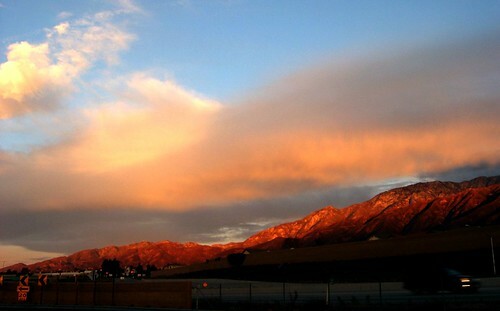 Jurupa Hills is popular with young families, because it provides a range of fairly affordable housing options. It's also the site of several large parks, including Martin Tudor Jurupa Hills Regional Parks, featuring green spaces, picnic areas and sport courts. With scenic views of the San Bernardino Mountains, Sierra Lakes is a popular neighborhoods that's also home to the Sierra Lakes Golf Club. Here, golfers tee off on a championship-level golf course designed by an expert in the field, Ted Robinson. The Fontana Unified School District manages the majority of the city's public schools, with nearby districts managing some sectors. Fontana is also home to two campuses of the Options for Youth Charter Schools, which the Victor Valley Union High School District manages. If you enroll your child in the Options for Youth program, he/she can take advantage of flexible schooling options including small group-classes and independent study. There are also a few private, mainly faith-based, schools in the area. Utilities: The Southern California Edison Company provides electricity to Fontana, and the Southern California Gas Company supplies natural gas. Several different water companies manage water distribution. Transportation: Fontana is served by Omnitrans, which provides public transit connections throughout the city and its surrounding areas. Metrolink rail is another public transportation option. Garbage and Recycling: The city provides curbside collection of trash and recyclables, with bulk pick-up and yard waste disposal options also available. As with most California cities, the median home and rent prices in Fontana are considerably higher than the national average. However, there is a full inventory of housing options, so you can find something to fit your needs. Our lowest priced units in Fontana, CA average $69.00 per month. 76 people have reserved units in Fontana, CA in the past 30 days. There is 1 location within Fontana, CA's city limits.